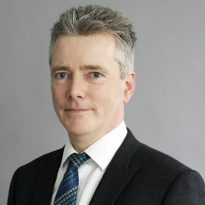 Adrian is Chief Economist at the Committee on Climate Change (CCC), the independent body established by the Climate Change Act (2008) to advise the Government and Parliament on carbon budgets and progress towards meeting the UK’s targets. Adrian has been a member of the Government Economic Service since 1980. He joined the CCC in 2009, and has previous experience in the Department of Health and Social Security, HM Treasury, DTI and DfT. This has included work on environmental taxation, energy modelling and projections. EU ETS and transport appraisal. At the CCC, Adrian’s main focus is oversight of work considering the cost-effective path to achievement of the UK’s legislated target to reduce emissions in 2050 by at least 80% on 1990 levels. Adrian studied for a BA in Economics at the University of Cambridge and has an MA in Economics from the University of Warwick.